Marieke has been with us since we began our journey with Skyrian Horses. We have been looking after her since 2006 when she was first used in a project with Amanda and a number of Skyrian children to build relationships with the horses. She is pictured here frequently with Julietta. Marieke adores children and children adore her. She is a gentle, kind horse who wants to mother all – four- or two-legged! The kindest sweetheart, Marieke is getting on in years and will no longer be used for breeding. 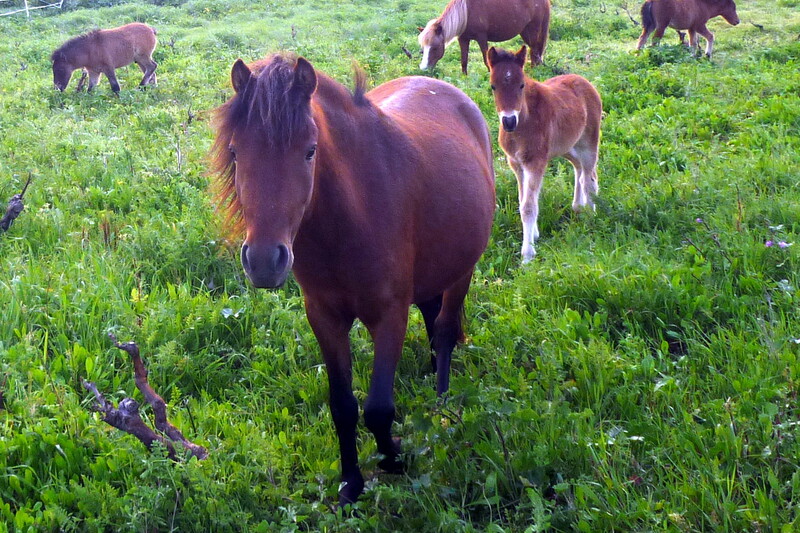 She is an exceptional mother and has bred three beautiful foals for us: Hermes, Norman and Silvia. Milly was brought to us in 2007 with her foal Effie. She was nothing but skin and bone and probably had about two weeks left to live. Scared and wary of human beings, Stathis has made her very much his project. She has eyes that are so deep and soulful. In age, we estimate that she is in her late teens or early twenties. We have to be very careful with her diet, always ensuring that she gets enough protein and fat as well as regular worming. As you can see from the photos, she has thrived and is now looking really well. She is the mother of Effie, Tarpan and Dias. She will no longer be put in foal, but will now live a life of retirement. Effie came to us in 2007 when she was brought down from the mountain at the end of the summer with her mother Milly. She was then aged approximately six months but it was very difficult to be certain as she was critically underweight and malnourished. Her poor bone formation indicated a total lack of calcium. 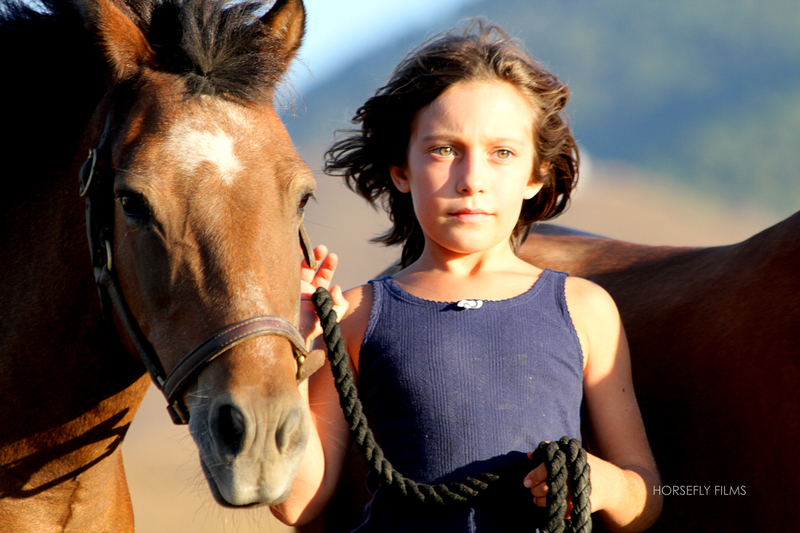 Now she is a thriving seven-year-old and has had one beautiful foal, Loukas, which is the foal that she brings to Stathis in the short film on our website by Horsefly. Effie is a gentle and sensitive soul, easily scared but friends with all. 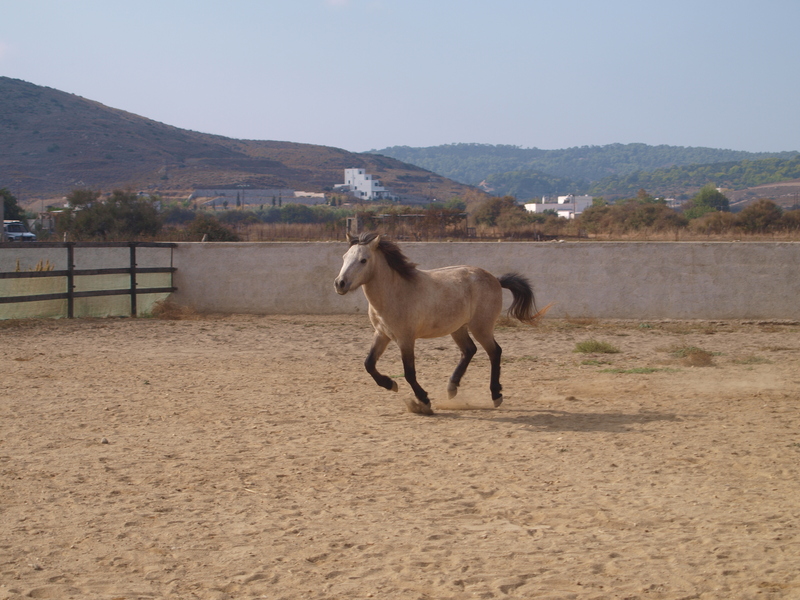 We bought Theadora in 2009 as a six-month old foal as we were concerned about her welfare. 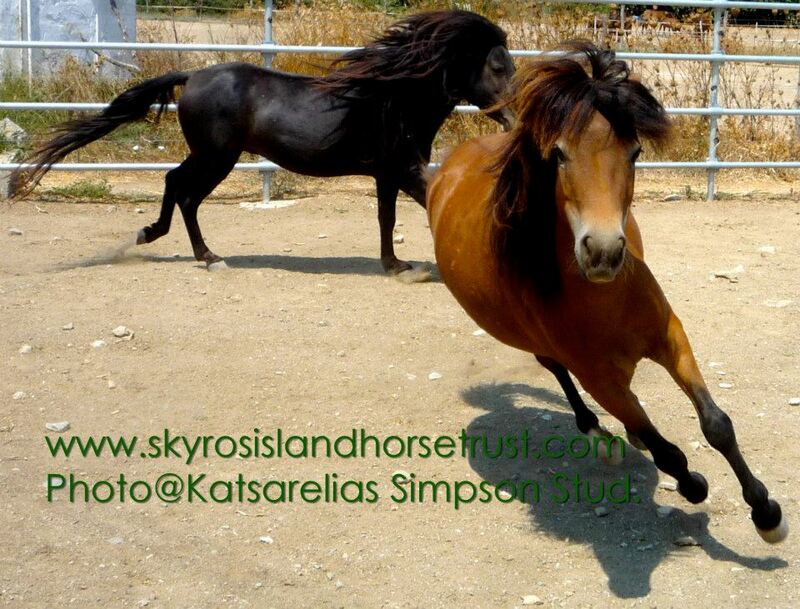 Her Dam is Astrapi who we went on to buy in 2010, and her sire is Spiros. She is a wonderful girl but quite shy and retiring; part of the herd but not the leader. She has had one foal, Alexandros, and we hope to breed from her again in the future as she is an excellent example of a Skyrian horse. Very beautiful! Ifestos was born in 2011 and he is a firm favourite at the farm. He’s cheeky, clever and great to work and play with! Many volunteers fall in love with him and want to take him home in their luggage – luckily for us he doesn’t fit in a suitcase! He is a gelding and will be used to teach children natural horsemanship in the future. We began our adoption scheme in 2007 with the help of Elliniki Etairia. It allows people to build a special relationship with one of our horses over a long period of time. 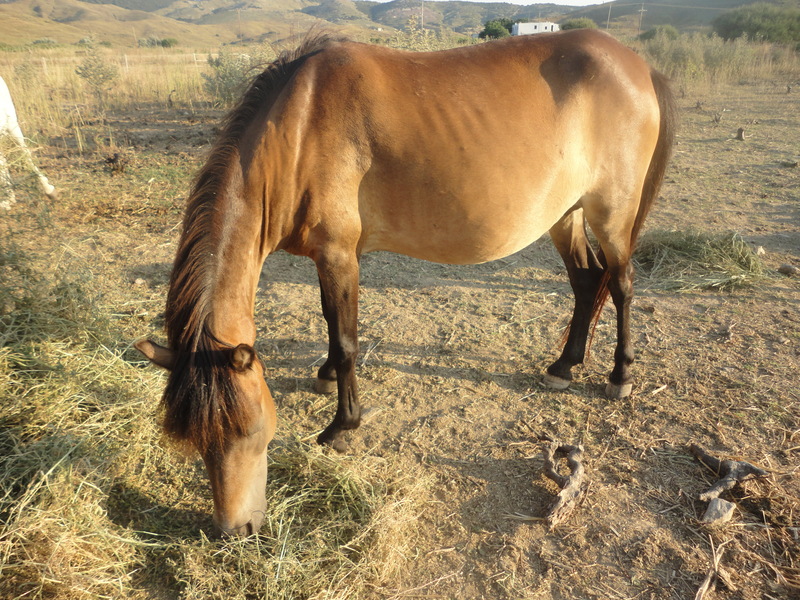 Sponsoring a horse means that every year you’ll be giving us the money necessary to feed him/her and perform basic health treatments, such as tetanus injections and worming treatments. In exchange, you will have our promise that the horse will stay at the farm and be looked after properly with round-the-clock care. You will receive pictures and news about your horse regularly, and of course you’re more than welcome to come and see him/her, groom and even ride if the pony is trained for it, as often as you want! If you are interested in sponsoring a horse we have several options for you. Don’t forget to ask if you know there is a horse not mentioned on this page who you would like to sponsor. 1. Full sponsorship: you will cover all the costs of feeding, boarding and caring for your chosen horse. You will be the horse’s exclusive sponsor. 2. Part sponsorship: this will take the form of a monthly payment, as much as you can afford to contribute. To arrange sponsorship get in touch and we can arrange your personal sponsorship plan: amanda@skyrosislandhorsetrust.com.